Walker will say whatever his big money donors want to hear. His response now is that President Barack Obama's executive actions on immigration forged Walker's new belief. "I don't believe in amnesty, and part of the reason why I've made that a firm position is I look at the way that this president has handled that issue," Obama told Wallace. "I was one of the first governors that joined the lawsuit that has been successful at least on this initial technicality, and I hope we prevail ultimately throughout the courts. "And then going forward, I think the way you enforce it is not through amnesty. I think the better approach is to enforce the laws and to give employers, job creators, the tools like E-Verify and other things, to make sure the law is being upheld going forward." Wallace: "The question was, can you envision a world where if these people paid a penalty, that they would have a path to citizenship, and you said, sure that makes sense." Walker: "I believe there's a way that you can do that. First and foremost, you've got to secure that border or none of these plans make any sense." Wallace: "But it's a little bit slippery here. Back when you were the Milwaukee County Executive, you actually supported the Kennedy-McCain comprehensive immigration plan. Are you basically saying that as part of a comprehensive plan — tough enforcement, E-Verify — the 11 million people already here pay penalty, they get citizenship?" Wallace: "But you said you supported it." Wallace: "So you've changed from 2013?" Walker: "Absolutely. I look at the problems we've experienced for the last few years. I've talked to governors on the border and others out there. I've talked to people all across America. And the concern I have is that we need to secure the border. We ultimately need to put in place a legal immigration system that works, and part of doing that is putting the onus on employers. Give them E-Verify and the tools to do that, but I don't think you do it through amnesty." Hmm... Walker decided he was against amnesty only after Barack Obama, the first black president, did an executive order to allow it? Gee, do you think that Walker might just be blowing his dog whistle to appease his radical fringe base and pandering to his racist, big money donors? Just maybe? 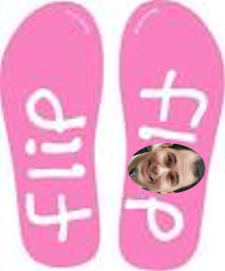 Then again, Walker flip flopping on issues is nothing new. He's built his career on telling people what he wants them to hear for decades. Another recent example of this is his double reversal on so called Right to Work legislation which he was for before he was against before he was for it again. In Wisconsin, we joke that if you don't like the weather, stick around ten minutes and it will change. The same can be said for Walker's position on any given issue.